The best part about the DC area is the multitude of Fall Festivals! 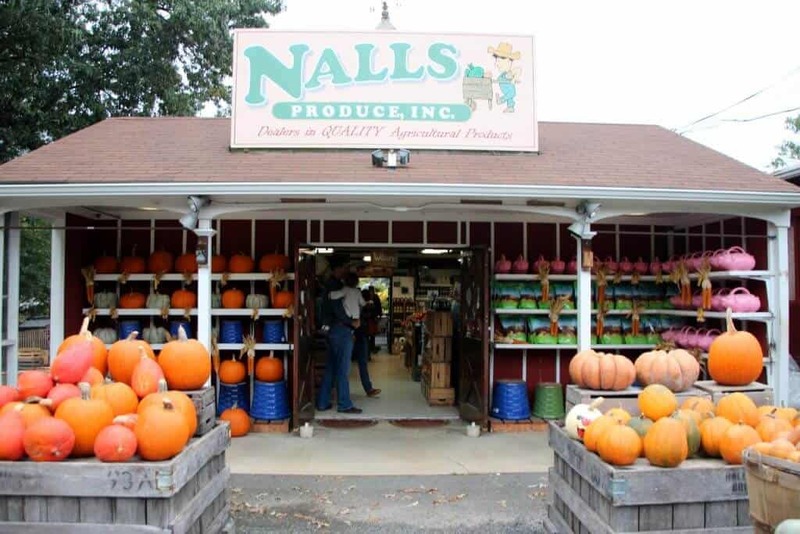 In the Alexandria/Kingstowne area, most local families know about Nalls Produce. 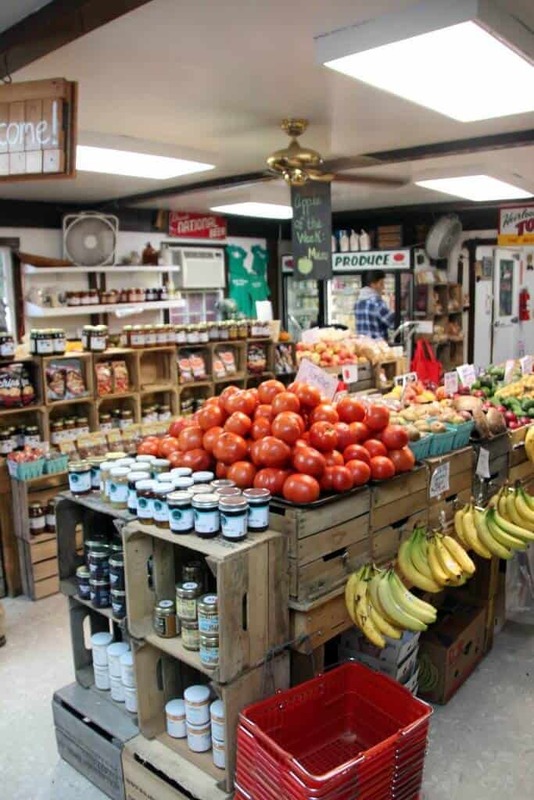 It is a family owned produce and garden center. 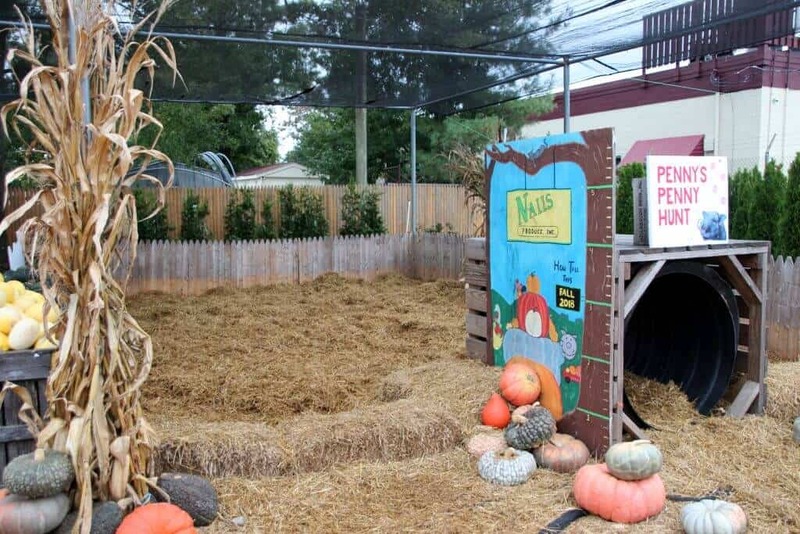 We love their Fall fun area that they set up every year. The best part? It’s FREE! There are multiple parking areas, but it does get busy on nice Fall weekends. 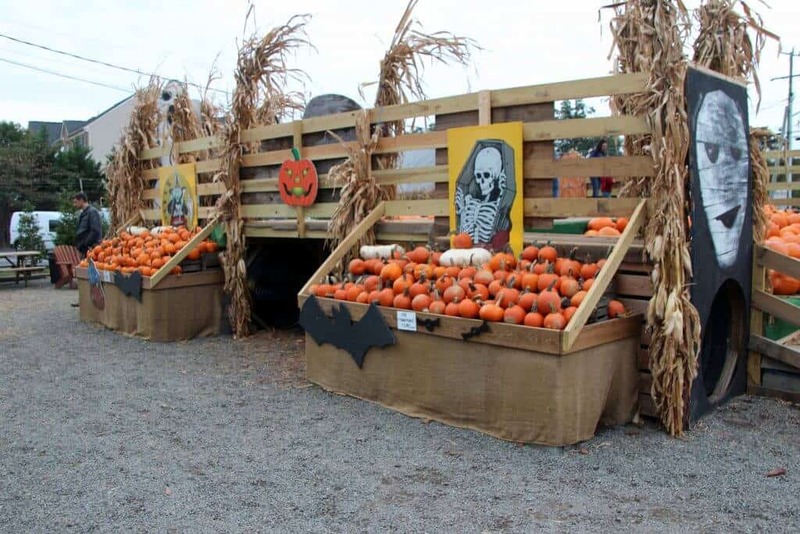 There is a small lot just off the road (in the front), then a few spots right in front of the pumpkin play area. There is also a parking area towards the back. So keep going around Nalls until you find a place to park. In the end, you’ll end up towards the exit and you can circle back around (if needed). 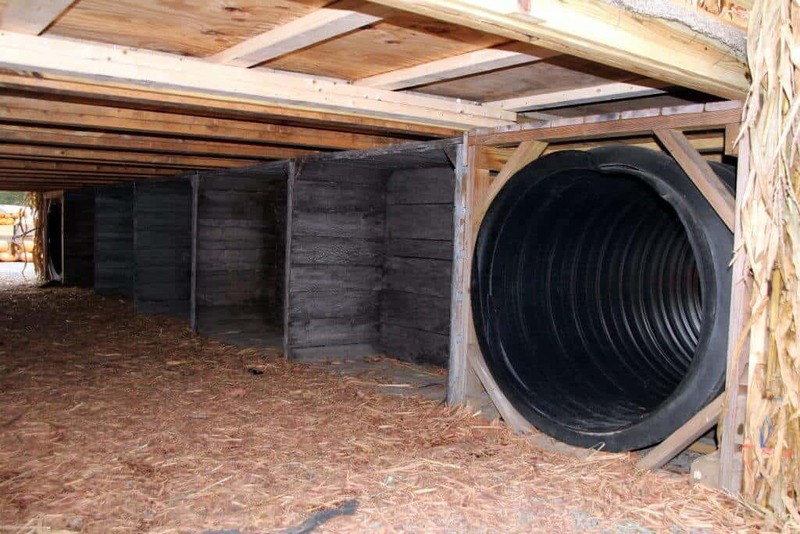 It isn’t a huge area, but a change of clothes might be nice if the kids enjoy really getting dirty in the hay or in the tunnels. Rainy days make the pumpkin area an adventure for sure! Feel free to bring snacks and drinks, but there aren’t many places to sit outside without sitting on the structure. You can bring a stroller, but I would recommend baby carriers for the little ones and then let the toddlers roam. It isn’t a long walk to the parking area, so they should be ok.
Dressing up is also great for some wonderful fall photos. I actually brought my son to Nalls to take a photo in the pumpkins to use for his birthday invitation. Lots of cute Fall themed clothes here. 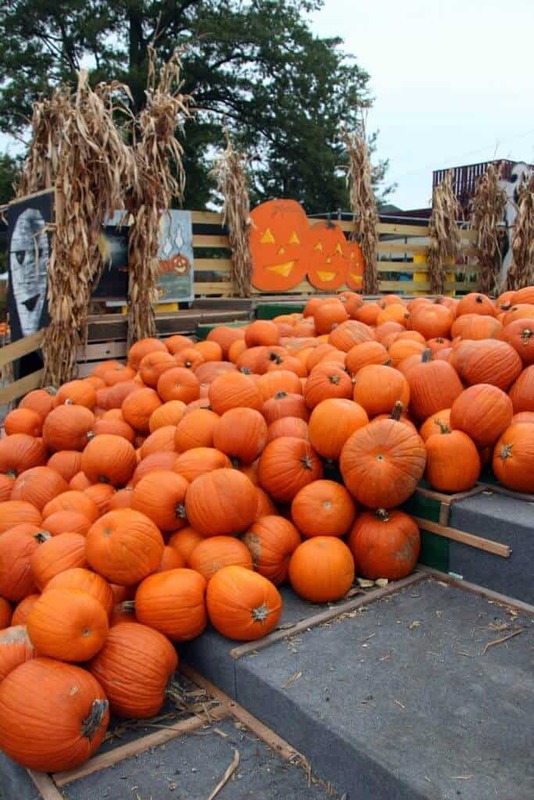 When you enter the pumpkin play zone, you’ll quickly see the huge climbing tower with hundreds of pumpkins to explore. You’ll also see the maze of tunnels that run underneath, providing lots of great spaces to explore and perfect for a game of hide and seek. This area is fenced off a bit with tables of pumpkins and plants. We love how Nalls thought about safety by keeping it separated. In the back right, you’ll see a fun area where kids can dig in the hay to search for pennies. Great to add a few coins to the piggy bank. 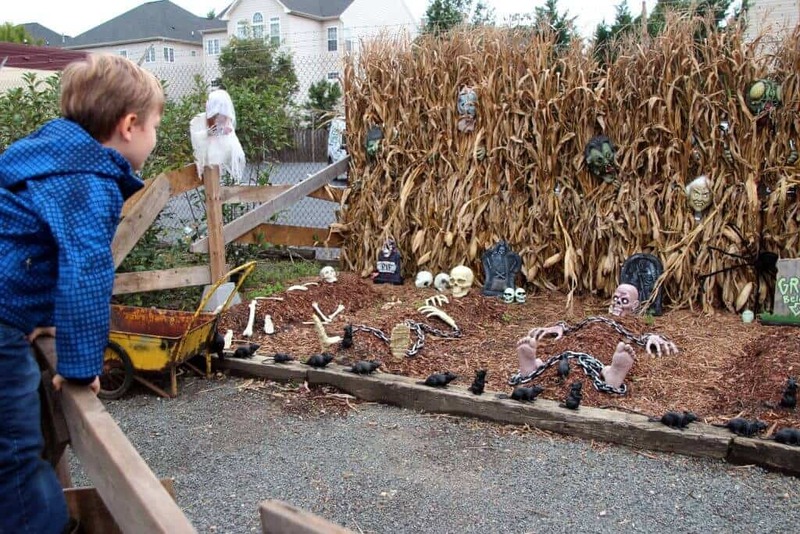 Kids can check out the fun Halloween displays all around the perimeter. 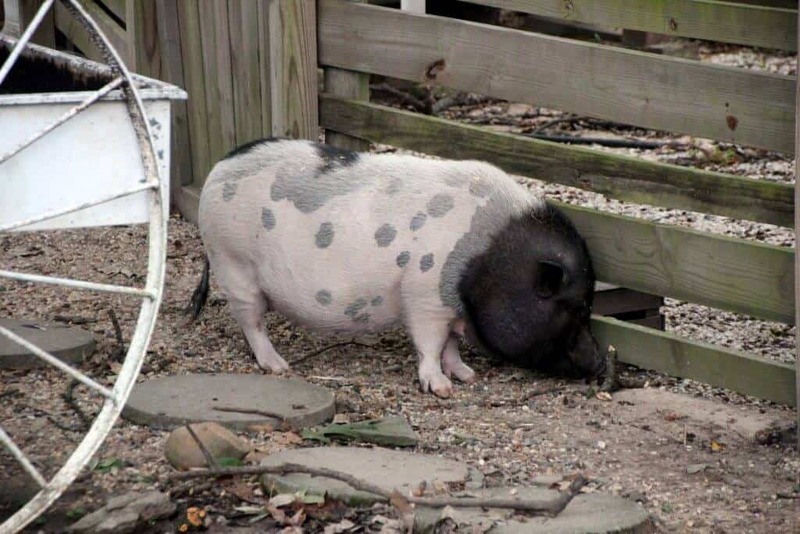 Play a fun game of “search and find”. 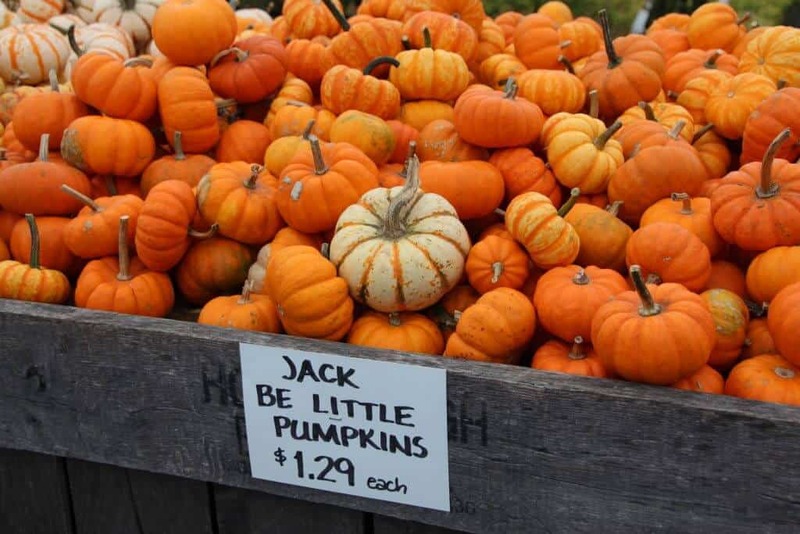 There is a huge assortment of various types of pumpkins to purchase. They are either priced by the pound or priced each (as noted on the signs). Fron carving pumpkins, to baking pumpkins to display pumpkins, there is certainly something for everyone. I loved just looking at the various types and my son really enjoyed trying to find the largest pumpkin (I’ll give you a hint, it is out in the parking lot area). 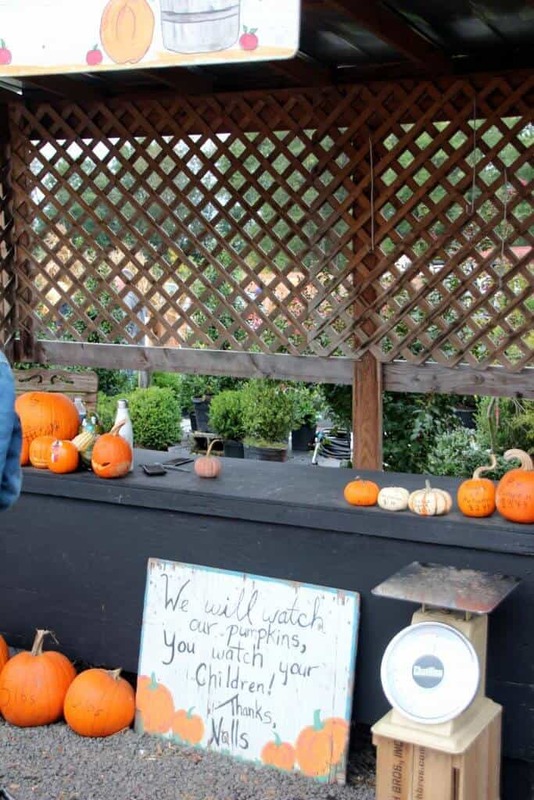 On weekends, they usually have someone in the pumpkin play area to weigh and give you a tag to pay for your pumpkin. Be sure to borrow a wagon to cart away your goodies to the store to pay. 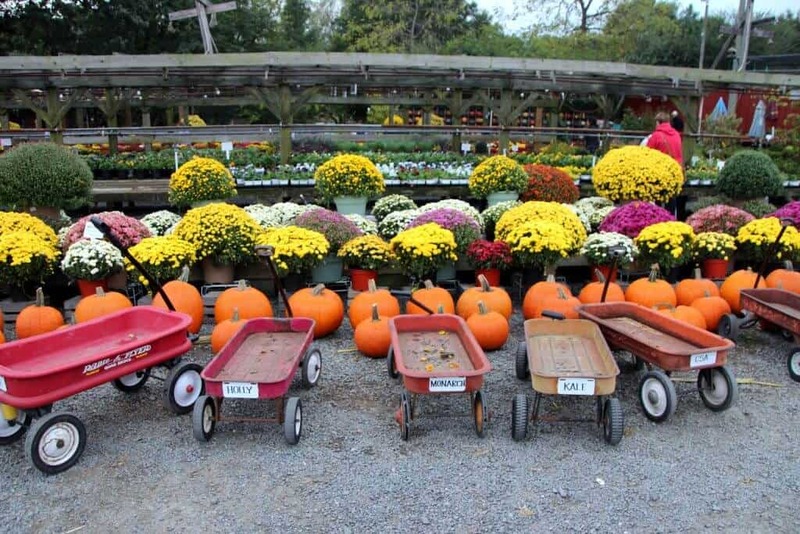 Just across the garden center, you’ll see a wonderful display of many different types of pumpkins. This is a great spot to grab a family photo. It’s also fun to see all the various shapes, sizes and colors of the pumpkins. 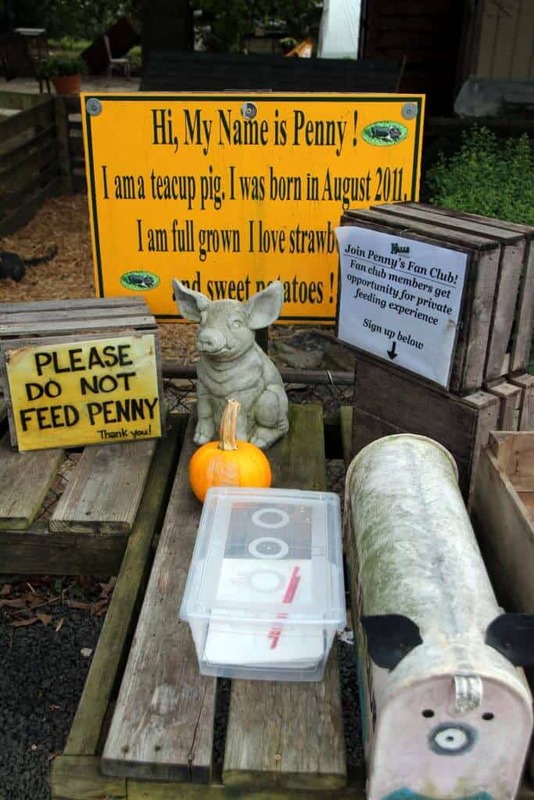 Right next to the Pumpkin Display is where you’ll find Penny the pig. Penny is a bit of a celebrity around Nalls. There are many fun activities centered around her throughout the year. 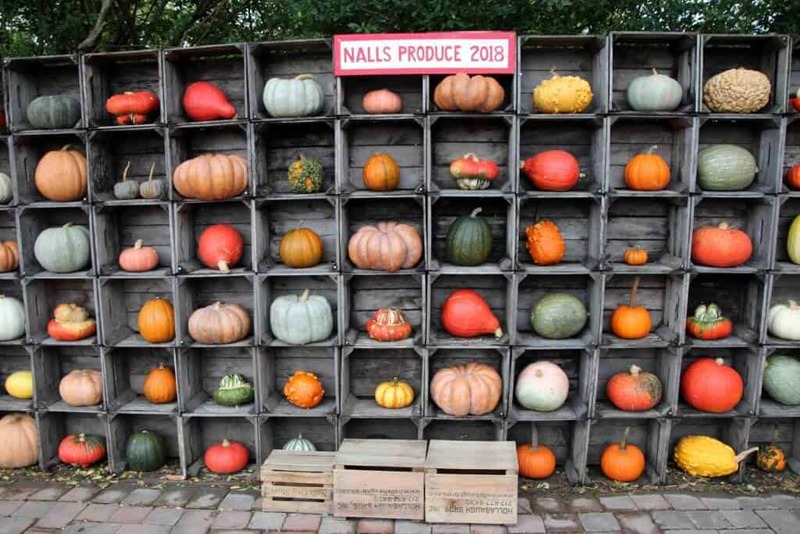 Check out the Nalls Produce website to learn more. 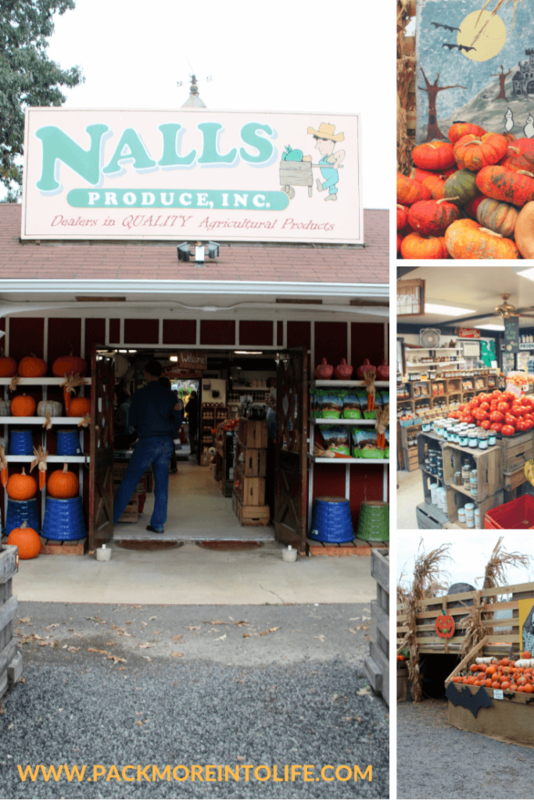 Nalls Produce sells not only Pumpkins and Gourds but also tons of local produce. 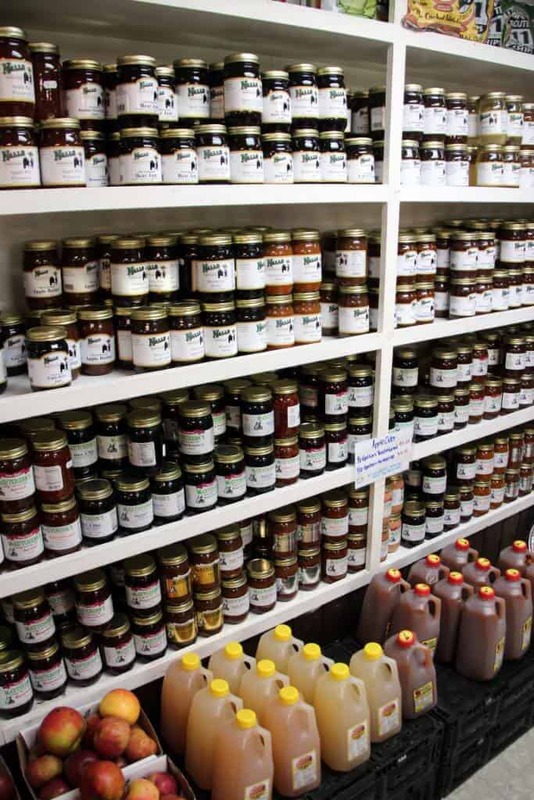 Head inside their store to check out fresh fruits, vegetables, cider, jams, salsa’s and more. It is a farmers market type set up. They also have a year-round crop share program, learn more about that here. 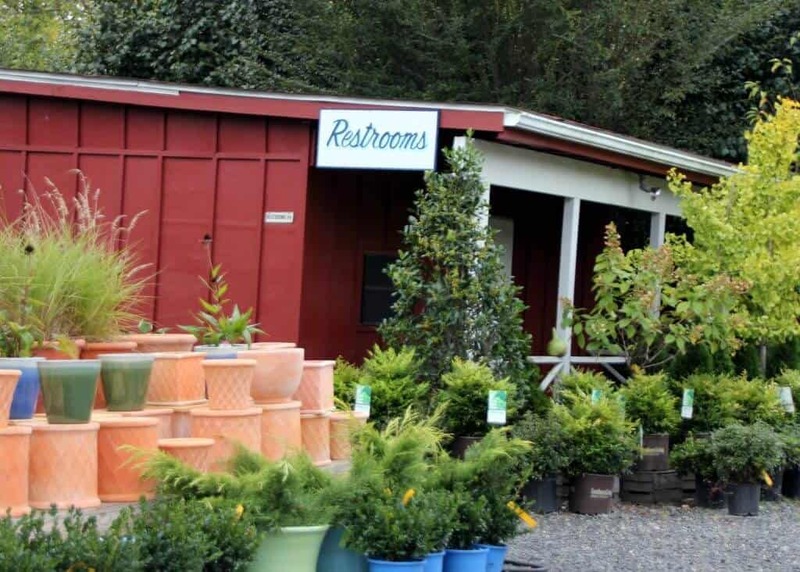 There are bathrooms located towards the back left of the property (as you arrive). A great bonus for those with newly potty trained little ones. Not sure about changing stations since we didn’t go inside, but luckily the car is close if needed. Nalls is great for about an hour of fun playtime. We love its location because it doesn’t require a long drive and it is FREE. However, I wouldn’t recommend it for older children. My almost 4-year-old wandered around a bit before exploring the shop and being ready to move along. I’m sure he would have had a bit more fun with friends to chase in the tunnels. Want to read about more amazing Fall festivals in the DC area? Head back to my DC/Virginia page to see more. Or perhaps you want to see what other fun destinations we have visited, head back to my destinations map to explore.